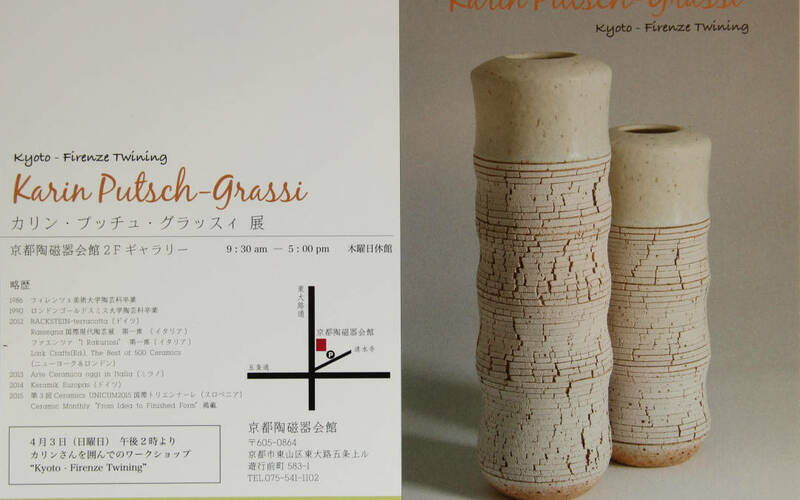 On the 25th of March my personal exhibition is going to be opened in the Kyoto Ceramics Center in Japan. It is named after the twinning between Kyoto and Florence which has just celebrated its 50th anniversary. In this exhibition I am presenting my ceramic pieces produced during my stay in Shigaraki last summer and new works produced at home in Tuscany. I am very honored to be first foreign ceramic artist who has been given the opportunity to show her work in the Gallery of the Kyoto Ceramic Art Association.